There have been plenty of hourglass blocks in my life lately, both traditional and improvisational, but still, when it came time to do the final slab for our guild's improv block-of-the-month, I couldn't resist playing with them again. This slab is nearly 15" x 30", and with it, I'm more than anxious to begin puzzling the quilt top together. 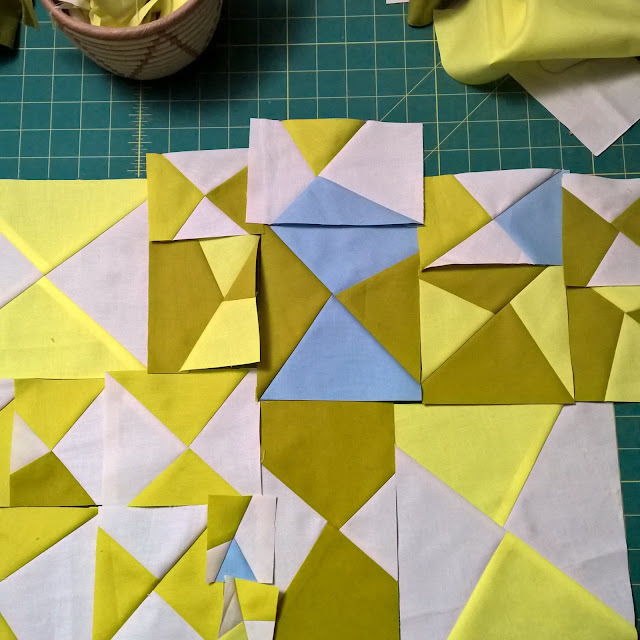 I expect there will be a bit of 'fitting together' needed, as in the way of improv, not all of my blocks came out exactly at the sizes suggested. Then it will go right in line behind the bacon quilt and improv log cabin for quilting. All three are on my Q4 Finish-A-Long list, and I so want to make it happen! I can't wait to see this one finished! I'm a big fan of your 'slabs'! I am excited to see how all the slabs read together! 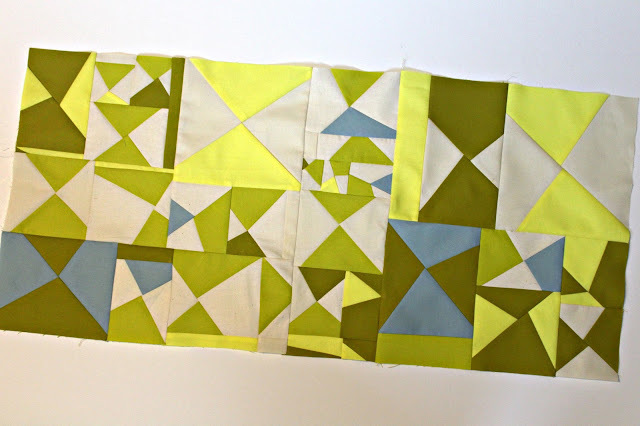 Love all the fun hourglass blocks together and I cannot wait until all slabs come together. This one is going to be amazing I'm sure! This is so fun! I can't wait to see the finish.